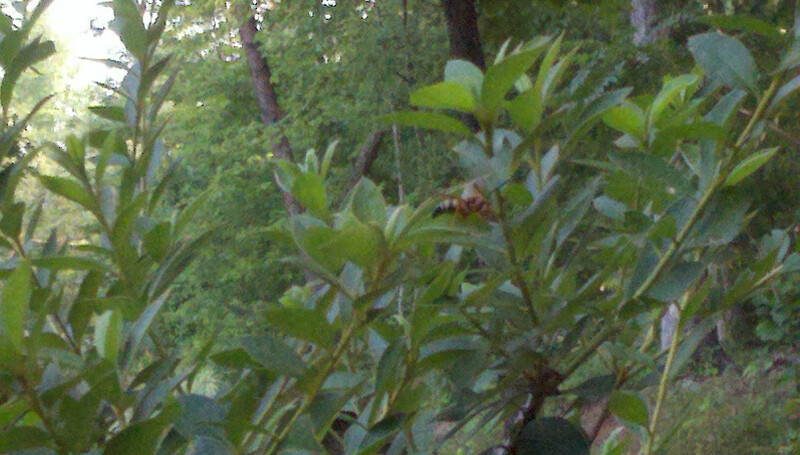 I just went outside around 4, and took a picture of the cicada killer also and her habitat. We have had them for years out in our yard. It was pretty horrifying to watch the killer take down a cicada and then drag it up our retaining wall to disappear between the cracks. I just learned that they are in fact referred to as the "gentle giants", but I am still a die hard fan of the cicada. 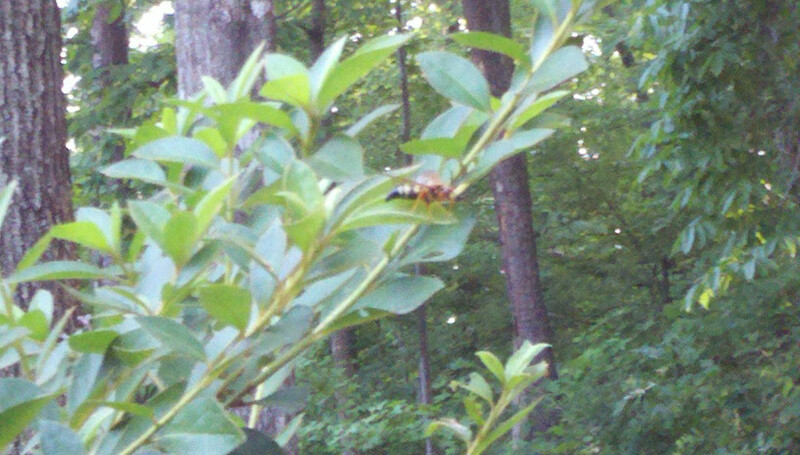 I am in North Georgia, we have loads of cicadas here and the killers here. Thanks for the cool photos of a male Eastern Cicada Killer wasp (Sphecius speciosus). These are pretty common up and down the east coast of the United States. They truly are "Gentle Giants" in the wasp world quite frankly because the males have no stingers and the females are only interested in paralyzing and stinging cicadas. I too am a fan of cicadas but the Cicada Killer is quite a fascinating creature. They are specialized to prey solely on cicadas. It is the female that hunts them after she has mated. The male's sole purpose is to mate with the female. In fact the male in these photos is exhibiting typical behavior where it has "staked out" a territory and will chase all other males away in the hopes of being able to mate with a female should one wonder in to his territory.